Teeth grinding, clenching, or Bruxism as it’s officially known, is one of those tricky conditions that you could be suffering from without even knowing it. Grinding or clenching is an involuntary movement of the teeth, which does not always present symptoms in ways that are immediately noticeable. 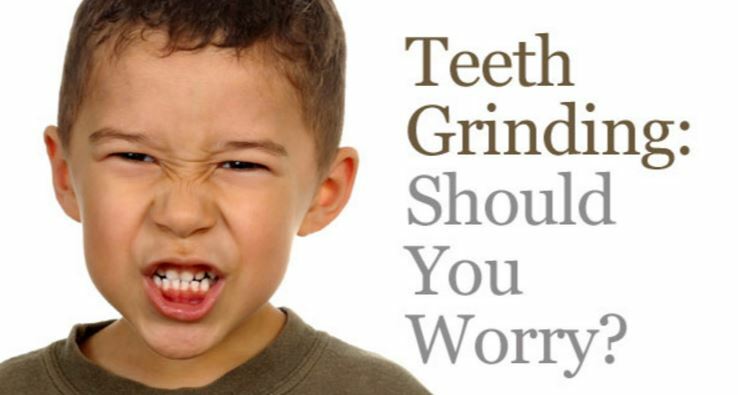 Most people aren’t aware they are grinding until their partners bring it to their attention that they can hear them at night grinding or advanced symptoms such as broken teeth, headaches, tight jaw muscles, jaw pain, worn down teeth, sensitive teeth start to arise. Working out if you are a grinder is challenging due to the fact that while you may have some symptoms when you first wake up, the will quickly disappear; and if grinding occurs during waking hours’ symptoms will not be noticeable until later in the day however the will too quickly disappear and you will forget about it until symptoms are felt on a more frequent and longer basis. Even if you are unsure whether the grinding is responsible for the symptoms you’re experiencing, we strongly recommend telling your dentist as soon as you suspect something is wrong. The earlier it is diagnosed the quicker it can be treated reducing long term damages to your teeth and jaw. All those symptoms and niggling problems can be indicators that greater damage has being done. Due to the pressure applied when teeth grind it can crack the enamel which is the teeth protective layer, if the enamel cracks teeth will fracture and break, also fracture of crowns and filling does happen due to untreated grinding. It is also possible that you might find that teeth become more sensitive to change of temperature, and more painful to biting down. The cause could be either physiological or psychological meaning that any treatment might often need to address both of these causes. Our dentist at Morphett Vale Dental Care can help you take care of the physiological causes such as fitting a nightguard if you grind at night, as well as treat any broken-down teeth, filling and crowns. However, if the source of the problem is emotional, poor nutrition, long term illness, it is important to dressed these issues ahead and if unsure let the dentist know as they can point you in the right direction. It is very important to use a nightguard if you are a night grinder, purely because your protective reflexes are switched off at night and you can clench or grind up 130% harder than you what normally would. Only dental professionals can design and manufacture a custom-fitted nightguard that provides adequate protection. Over-the-counter nightguards (chemist brands) do not protect your teeth, they are loosely fitted, impair breathing and can even wedge in the back of the throat resulting life threatening. If growth and development has stopped and if the nightguard has been properly used, stored, and checked yearly by your dentist, a custom-fitted nightguard should last several years.